A new online tool for cooks focuses on four areas of food safety: food temperature, hand-washing, cross contamination, and produce-handling. Question: As a food blogger, I’ve written my own recipes before, but I’m wondering how I can incorporate the most updated food safety information into those recipes. Do you have any advice for me? Answer: A new online tool that was launched this month will allow people who develop and write recipes to incorporate step-by-step food safety information into those recipes. The Safe Recipe Style Guide was developed by food safety experts and food journalists as part of an effort to help educate consumers on safe food-handling practices. The free online tool, which is offered by the Partnership for Food Safety Education, a Virginia-based nonprofit food safety organization, provides recipe writers information about how to incorporate food tips into most recipes. The guide focuses on four areas of food safety: food temperature, hand-washing, cross contamination, and produce-handling. It provides recipe writers with the specific, concise recipe text to direct consumers in those areas of safe food preparation, the organization said in a written statement. 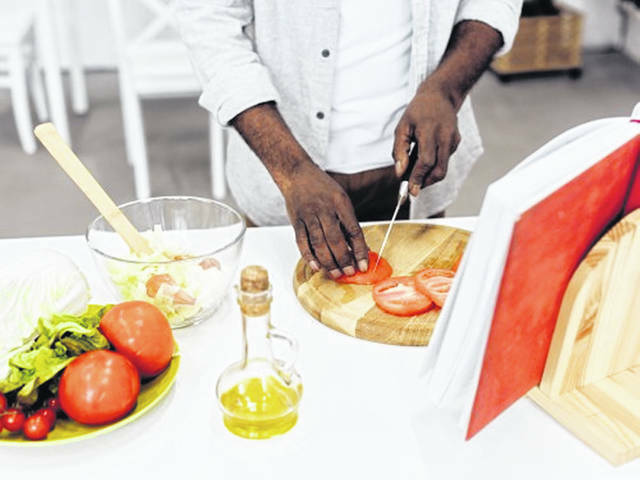 The goal, the agency said, is to update recipes with food safety instructions written into the text, which would make users more likely to adhere to safe food-handling practices in their home kitchens. Educating consumers on safe food-handling is important, considering that 48 million people develop a foodborne illness every year in the United States, with 128,000 hospitalized and 3,000 deaths from foodborne diseases occurring annually, according to the Centers for Disease Control and Prevention. Helping people understand basic food safety can help those same people lessen the potential for developing a foodborne illness, said Kate Shumaker, an Ohio State University Extension educator and registered dietitian. OSU Extension is the outreach arm of The Ohio State University College of Food, Agricultural, and Environmental Sciences (CFAES). “Foodborne diseases are preventable and can be lessened when people use safe food-handling practices,” she said. “We all know to wash our hands before handling any food and after handling raw meats and eggs; however, when it is written into the recipe directions, people are significantly more likely to actually do it.